Mary Kay Keller, MPA, PhD, CEIM, CFLE: Grief escapes no one! We are all familiar with grief. What we may not be familiar with are the stages of grief: Denial, Anger, Bargaining, Sadness and Acceptance. Who grieves? Everyone at some point in their life experiences the stages of grief. Most commonly we experience grief when someone we love dies, or leaves us, or changes in ways we cannot quite define. We experience grief when life changes around us and we are not prepared. We experience grief even when we are prepared and excited about change in our lives. Who experiences grief? All people experience grief: Adults, elderly, young people, children, infants, teens. Everyone experiences grief, as it is the universal human experience. People have called me when they suspected their animals were experiencing grief. When one dog had died and the surviving pet was now overwhelmed by sadness or the loss of a companion. 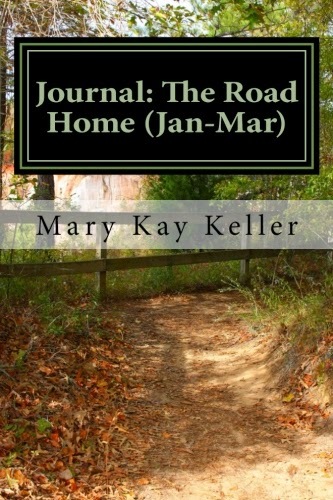 I recently gave a friend who is a grief counselor a copy of my latest published book. She is a grief counselor and she thumbed through it and said, "This would be perfect for people who are experiencing grief and bereavement!" She was delighted. Although I had published these journals to support people in recovery I had forgotten that yes, grief is a universal experience. People in recovery from any addiction are all suffering through grief. This year, 2015, I will publish a series of books on Life Skills for Life Adjustments. They are already written. I have some last minute editing to do and then will announce the publication dates. I have also decided to provide on-line education classes in which people can attend via Skype in depth classes supporting the material in each of the books. So please come back and look for the release dates and the updates to the on-line/distance learning classes coming soon. Really 2015 is going to be the best year yet!